Are you looking for the best Irish memes on the internet? Well, you came to the right place! The Internet is a breeding ground for the wacky, funny, and weird. If you’re looking for a laugh, here are the best Irish memes the Internet has to offer. 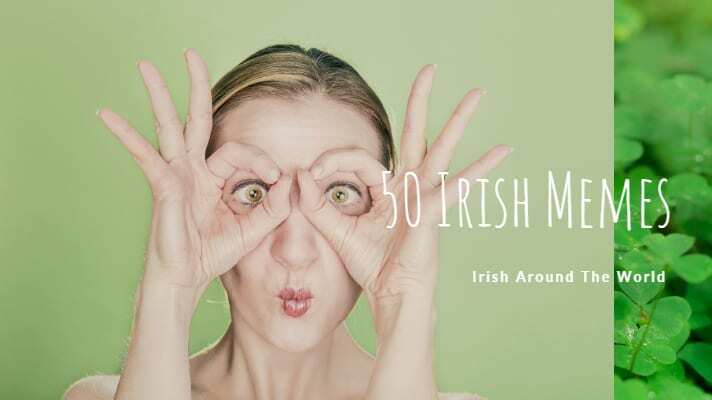 We have updated this list of Irish memes for 2019, some old ones and some new ones. Internet memes are a subset of this general meme concept specific to the culture and environment of the Internet. Memes rule the internet and when you see a quality Irish meme – it just makes them even better! Guaranteed to make you laugh with our funny pictures, images, and these 50 epic Irish memes. 6. Get In The Car..although not exactly an Irish meme still good. 17. Vandalism in Dublin taken to a new level! 19. A popular Irish meme back when the water charges were coming in. 20. Standard Dublin bus life..
25. Just a standard day In Ireland..
30. What Do You Mean We Can’t Play? The Irish are definitely known for their wicked sense of humour. So, which of these Irish memes is your favourite? These Irish memes were found across the internet and many came from this article.